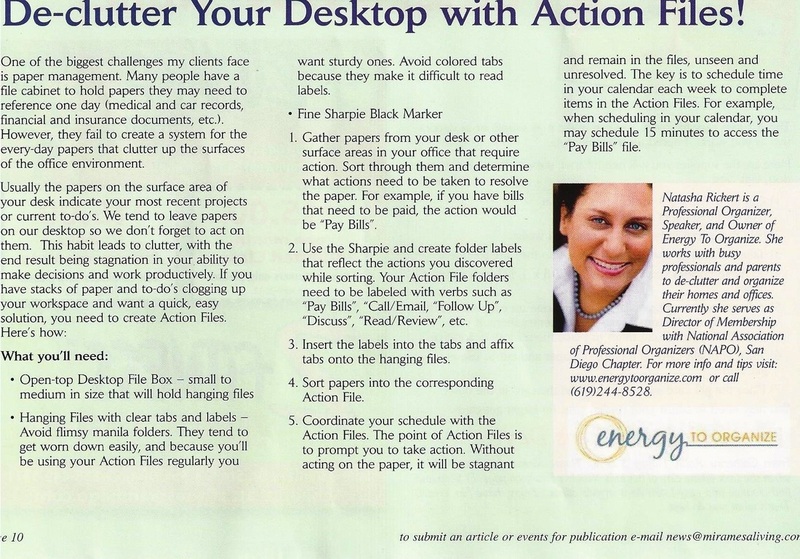 Media Spotlights - Energy To Organize! 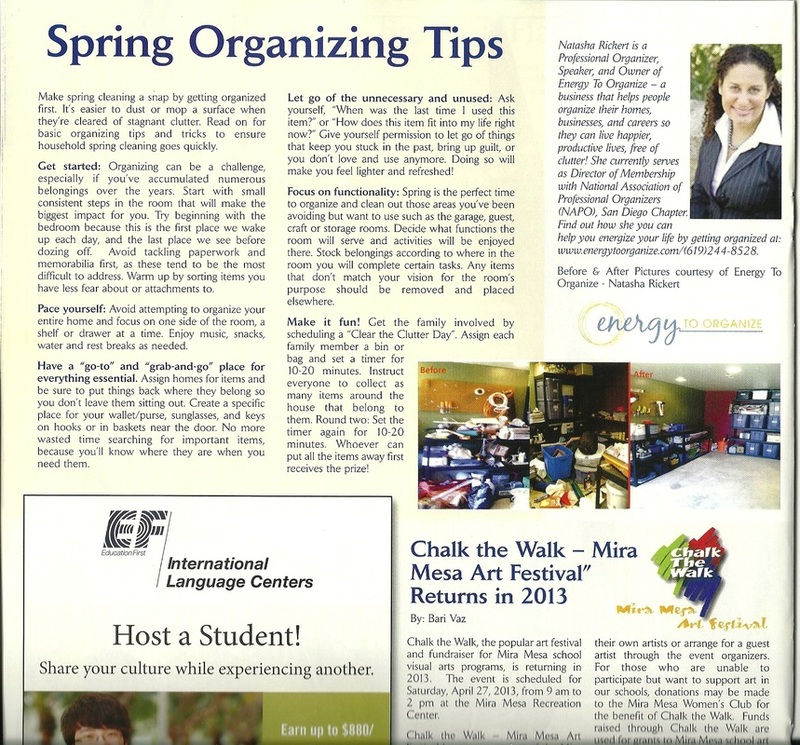 Natasha is a contributor and featured as the Organizing Expert in Mira Mesa Living Magazine. 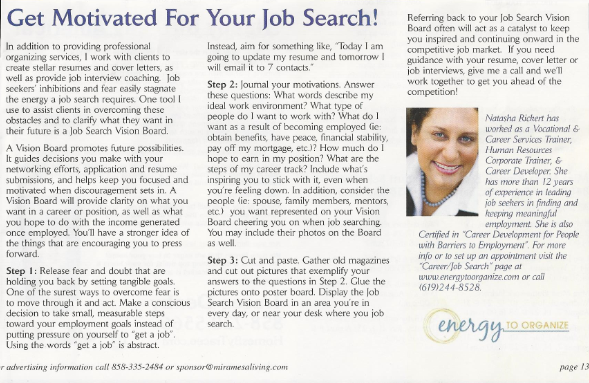 More articles coming soon!